Home / Technical how to / Facebook Share doesn’t share image or text. What to do. Facebook Share doesn’t share image or text. What to do. 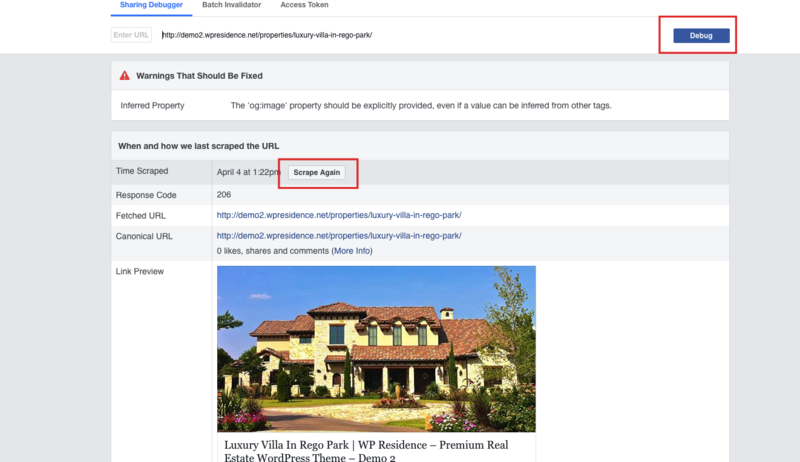 On some servers Facebook cannot access the info from a property from first share attempt. This is related to Facebook not being able to get the data from your server. How to verify this applies for your situation. Error parsing input URL, no data was cached, or no data was scraped. In this case solution is to use the SCRAPE AGAIN button and then test by clicking the Debug button, to make sure the info is scraped. If info is scraped you’ll see what info is shared in the same window.